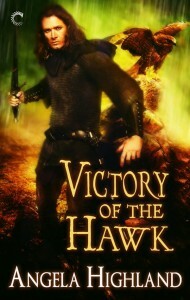 Ruth A. Casie is one of my fellow authors at Carina Press! She writes paranormal romance, and in this particular instance, we’re looking at a historical that features a heroine with second sight and healing powers. Since I do read historicals, particularly if there’s a touch of paranormal, this book of hers from last year was already on my radar to check out. Ruth sent me a character interview, and in it, I feel that her hero does a very clear job of expressing his goals! And I gotta admit, I like that cover. Ah, there you are and just in time. Thank you for coming, I knew you wouldn’t want to miss this. We’ve pulled a real coup. Let me give you a little background before they begin. Our investigative reporter is about to hold an interview with the hero, Lord Alex, and heroine, Lady Lisbeth, of Ruth A. Casie’s book, The Guardian’s Witch. I see they are about to begin. I’ll fill you in on their story when the interview is over. Alex Stelton is the seventh son of Lord and Lady Stelton. Alex’s father is also a seventh son, an oddity that arises in the Stelton family from time to time. Lady Lisbeth and her younger sister Laura survive their parents, Lord and Lady Reynolds, who were lost to us in a terrible carriage accident, and their brother, Richard. Richard died valiantly on the Welsh battlefield. Alex: (Alex faces the reporter) I won a bet with King James. If I held Lisbeth’s Glen Kirk Castle safe for one year it would be mine. Having an estate of my own has been a goal of mine for some time. Reporter: (Obviously upset.) I’m sorry m’lord. I meant no disrespect to your wife or you. But sir, your wife’s special talents are common knowledge far and wide. It is to be honored, sir, not reviled as some may think. Alex: Don’t you think I know that? (Alex takes his wife in his arms.) I cringe each time I think of how close she came to being judged a witch and the consequences that would have been metered out. Reporter: Well, thank you both very much. (Pulling on his shirt collar.) Is it warm in here? 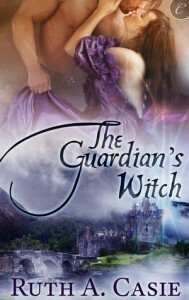 (The reporter turns to the audience) You can find out more about Lord Alex and Lady Lisbeth in The Guardian’s Witch by Ruth A. Casie. More information follows this interview.